The Air Chathams' 747 Simulator all wrapped up and ready to be relocated. 2018 has been a busy year for Johnstone Construction as we complete projects and start new ones across the country. The team is enjoying getting out of the main centres to work with great local sub-contractors in the regions to deliver their projects. Construction of a new unmanned fuel site for NPD in Hokitika. Maintenance and security upgrades across BP's North Island network. A refurb and a new build of 2 BP2Go sites on the South Island's West Coast (Greymouth and Hokitika). Completion of 4 new sites for Pizza Hut across Hamilton (Dinsdale, Claudelands, Melville and Flagstaff). Working with Fulton Hogan to undertake civil works at Auckland Airport's domestic and Jetstar terminals. Upgrading the Starbucks at Silvia Park. Upgrades to the Remuera Golf Course in Auckland - unfortunately, the handicaps were not upgraded at the same time. A staged upgrade to the BP2Go at Berhampore in Wellington which allowed the owner to continue trading throughout the works programme. A new greenfields fuel site for Allied Petroleum in beautiful Whitianga. Breaking ground on the Wentworth Community Centre that will provide a fabulous venue for the ISSO community in South Auckland. Construction of the Watford Medical Centre a new health care centre for the people of Otara. 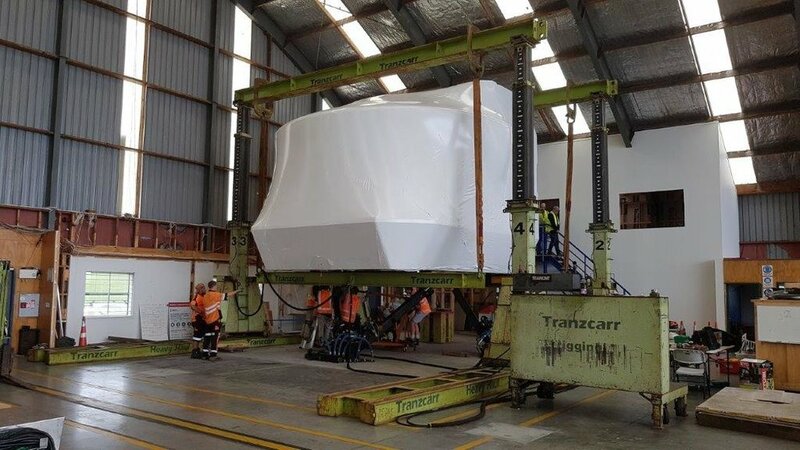 The prize for the most unusual project undertaken in Johnstone Construction's history to date is the relocation of a 737 simulator from the Air New Zealand hangar to the Air Chathams hangar at Auckland Airport.